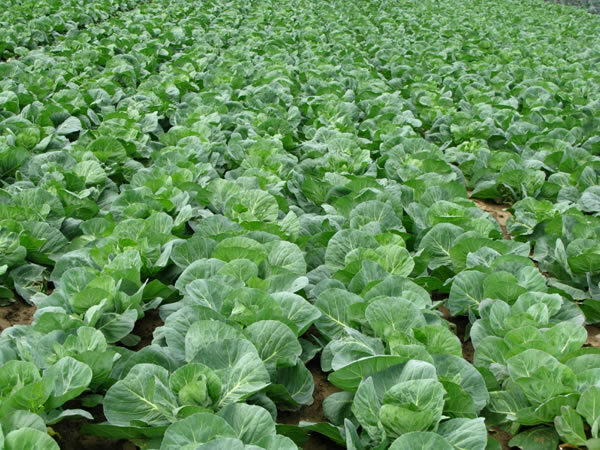 Do you have a history with cabbage? Thankfully, I don’t have any of the horrid soggy cabbage memories so many people have from childhood. I know cabbage as a versatile, tasty and nutritious vegetable that is at its prime this time of year. The trick seems to be not to boil it. 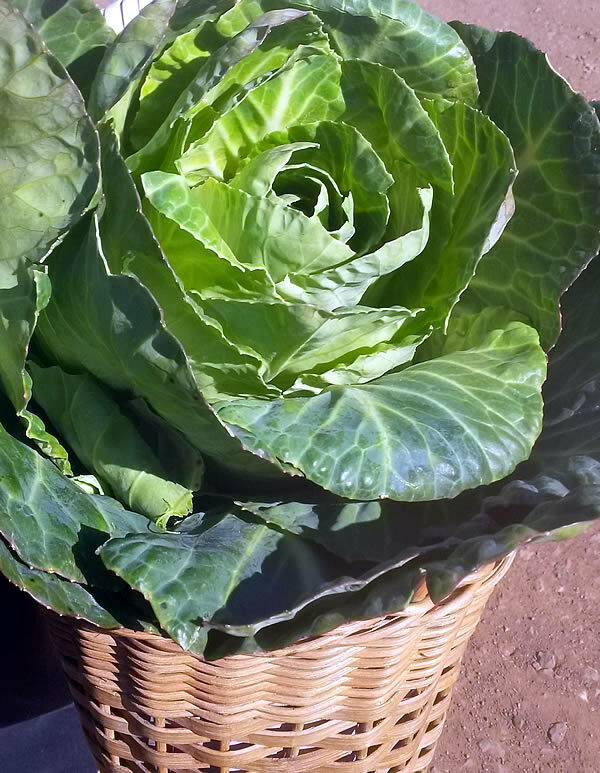 There are five main types of cabbage on offer at the farmers market at present: wombok or Chinese cabbage, white cabbage, purple cabbage, savoy cabbage and if you get in quick enough sugarloaf cabbage. Chinese cabbage is great in an Asian salad with fried noodles and spring onion. You can add it to stir fries or use it to make your own kimchi. Fermented cabbage is an incredible thing. Though I haven’t tried my hand at kimchi, I am very happy with the naturally fermented sauerkraut I made this year. 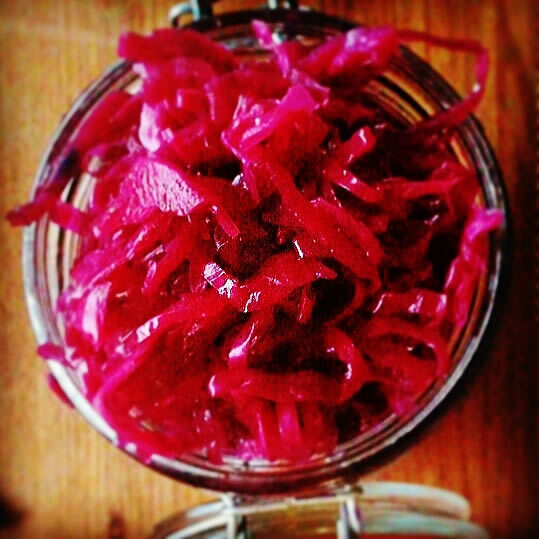 I used purple cabbage, so my sauerkraut came out a beautiful almost iridescent colour. Because it’s fermented naturally (rather than pickled with vinegar) it is packed full of healthy probiotics. All you have to do is slice the cabbage, squish it with salt to draw out the liquid, make sure it’s covered with liquid and a lid, then leave it to ferment for a week or so. When it’s as sour as you want, put it in a sterilised jar in the fridge with a lid on. As for white cabbage, most commonly, I use it to make my own okonomiyaki. You know, that Japanese vegetable pancake? It’s so much better when you make it yourself than if you buy it from the cheap Japanese takeaway shop in the food court. There’s a great budget recipe for it over at Weekend Parent. I make mine with three different types of vegetables: cabbage, carrot and something green either spring onion or green beans. But you can make white cabbage something amazing when you melt a seriously good dollop of butter in a saucepan and slowly cook the sliced cabbage over a low heat till it’s meltingly sweet. Variations on this deliciousness include the addition of grated apple, which is especially good if you want to serve it with pork. You can add some chicken noodle soup or stock for a little extra flavour during cooking. If you’re that way inclined you could fry bacon pieces to a crisp before adding the cabbage to the pan. I love the sweetness of savoy cabbage. It is by far my go-to cabbage for coleslaw. 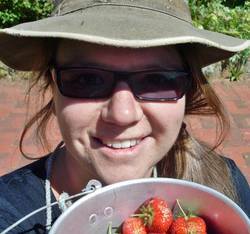 Serve it with a good schnitzel, fired chicken or pulled pork. Dress your slaw with a little mayo, or a splash of vinegar and olive oil. Savoy is my go to for a Taco Tuesday. It went down a treat in my prawn tacos a few weeks ago. I’ve recently discovered the knack to slicing cabbage super fine. I think this is key to a lovely delicate slaw, instead of the chunky gloopy version of childhood barbeques. So, the trick is to take leaves off the cabbage, roll them up one by one. Let the cabbage tell you which way to roll it. You want to roll it as tightly as possible. This will make it manageable for you to easily chop it finely with a sharp knife. This week, I finally bought a sugarloaf cabbage from one of my favourite veggie guys at the Capital Region Farmers Market. The sugarloaf doesn’t form a heart the way other cabbages do. I can’t get over how beautiful they are. The flavour is supposed to much sweeter than other cabbages. I’m going to slice It finely with a bunch of herbs: mint, coriander, spring onions and garlic greens for a fresh take on winter salad. I must confess I Adore Brussels sprouts, never used to, just one day had them halved and lightly steamed with lashings of butter, salt and pepper and I was gone. Cabbage, same – delicious! I know exactly what you mean miz, brussle sprouts are delicious, especially with lashings of butter! cabbage is a great food. Lightly stir fry sliced brussel sprouts in a little oil and it gets a nutty flavour. White cabbage gets very sweet. Love it. I’ve always loved steamed brussels sprouts but have only just recently discovered how good they are thinly sliced and stir-fried. At present they are my favourite vegetable and this is my favourite way of cooking them.